The Little Common Dental Practice is a private, family run dental practice situated between Eastbourne and Hastings. At Little Common Dental Practice we offer private dental care of the highest standard, and are able to provide patients with a full range of treatments and preventive care in one of the most up to date and modern practices in the Bexhill area. We provide our patients the best possible experience with the very latest in dental technology. Some of our patients even enjoy coming to the dentist! At Little Common Dental Practice we offer private dental care of the highest standard, and are able to provide patients with a full range of treatments and preventive care in one of the most up to date and modern practices in the Bexhill area. 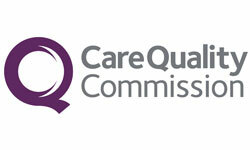 The Care Quality Commission (CQC) is the independent regulator of all health and social care in England, and it is given powers by government to register, monitor and inspect all health and care services. Prosthodontics – A prosthodontist is a dental specialist who is skilled in the replacement of missing teeth and the restoration of natural teeth. They are registered on the general dental council’s specialist list, and have had at least 4 years of postgraduate training within a teaching hospital. This type of specialist is trained to deal with complicated and simple restorations of the whole mouth as well as treating facial deformities. Common procedures treated by a prosthodontist may include dentures, fixed bridges, crowns, implants, veneers and more. Endodontics – An endodontist is a dentist that specialises in the care and treatment and diagnosis of the dental pulp, tooth root, and surrounding tissues and in the associated practice of root canal therapy. Patients are referred to an endodontist when their nerve becomes infected. Periodontology - A periodontist is a dental specialist that has completed an additional 4 years of specialty training in diagnosing, preventing and treating gum disease. Periodontists can also place dental implants as well as perform cosmetic periodontal treatments. Dental Implant – A dental implant is a small screw that acts as an artificial tooth root when placed into the jawbone. It is made of titanium, a metal well-accepted by the body and one that can form a strong bond with the bone to create a stable foundation, to create an anchor for the placement of a crown, bridge or denture. Hypodontia – Is the dental term for missing teeth. Sometimes teeth do not form, it is generally a genetic problem and often occurs in families. An emergency service is provided so that we can continue to look after our regular patients if dental problems occur when the practice is closed. This information is available out of hours on the answer phone. Emergency appointments are available Monday to Friday during normal surgery hours. These are bookable no more than 24 hours in advance. Time constraints limit the treatment that can be performed during emergency appointments and whilst we will endeavor to resolve your immediate problem, it will occasionally be necessary to book follow-up appointments to enable treatment completion. Should you have an out of hours dental emergency that cannot wait, please ring the surgery on 01424 845530 where our out of hours emergency numbers will be provided. Your call will be triaged and dependant on the problem advice will be given or a dentist will be called out to see you at the practice. This service is only available to our registered patients. If a dentist is called out there is a minimum charge of £200 to open the surgery, any treatment carried out will incur a further charge. Little Common Dental Practice © 2018. Site by Vida Coder. 65 Barnhorn Road, Little Common, Bexhill-on-Sea, East Sussex TN39 4QB.